Our Mission is to lead the way in aerial application through providing first-rate customer service, using elite spraying products, staying on the cutting edge of industry innovation, and emphasizing safety, quality, and efficiency. Service that literally goes above and beyond. Our primary service offering is aerial application of liquid and dry herbicides, insecticides, fungicides, and fertilizers. We offer a full line of name brand and generic chemicals at very competitive prices. Pro Agri is a certified dealer of Americot/NEXGEN, Bayer (Fibermax and Stoneville), and Dyna-Gro seeds. Pro Agri Spraying has been family owned and operated since we opened our doors in 1987. 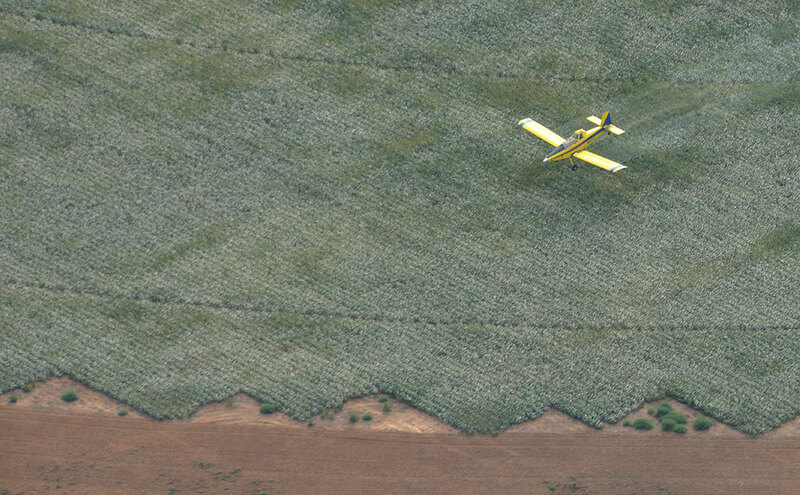 The last three decades, we have taken to the skies of West Texas & Eastern New Mexico to provide our farmers with complete and timely applications. With three decades of experience, we’ve earned a reputation for excellence in agriculture and strive to stay on top of the ever changing dynamic that today’s farmers have to face. Pro Agri was established by farmers, for farmers. We understand what it takes to be a grower. We take pride in our work and treat every application as if it were our own. Whatever your needs may be, Pro Agri is committed to serving you. With a rapidly growing service area and list of services, we can accommodate your agricultural needs.